Take a page from the traditional Seder meal and toast your health with four cups of red wine. On the first two nights of Passover, the Jewish family sits together and has a specifically ordered meal called the ‘Seder’ (translation: Order). Some of the highlights of the Seder are eating Matzah (unleavened bread) and bitter herbs, reciting the Haggadah (the detailed story of the Exodus from Egypt) and drinking four cups of wine. The four cups allude to these four verses, and represent different stages in the redemption from Egypt—but all relate to freedom, whether spiritual freedom or freedom from physical subjugation. It is fitting that wine is so central to this theme because it also has emotional and physical health benefits. The ancient Jewish philosopher Maimonides sums it up beautifully: Wine is an important factor in the improvement of the body and soul in all respects. • Researchers believe the antioxidants in the skin and seeds of red grapes, called flavonoids, reduce the risk of coronary heart disease by lowering LDL (bad) cholesterol, increasing levels of HDL (good) cholesterol, and reducing blood clotting. • Resveratrol, which is found in the skin of red grapes, may help diabetics regulate their blood sugar and result in lower blood glucose levels. • One study indicated that resveratrol may be helpful in the treatment of neurological diseases like Alzheimer’s and Parkinson’s. • Red wine also appears protective against prostate and other cancers. • A study in the American Journal of Epidemiology found by that the antioxidants in red wine may also prevent the common cold. • Research at Purdue University, published in the Journal of Biological Chemistry, found that the compound piceatannol, which is converted from resveratrol, could help control obesity. It blocks insulin’s ability to activate genes that carry out further stages of fat cell formation. • One large study found that wine consumption in the range of two to seven drinks a week was significantly associated with lower rates of depression, while heavy drinkers seem to be at higher risk. 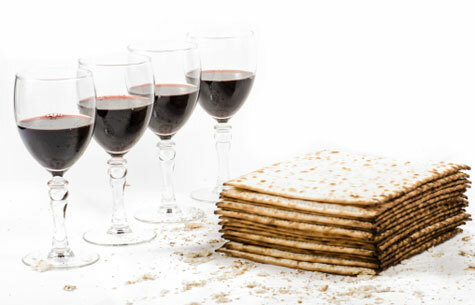 Mystical sources explain that Passover is not just a commemoration of an historical event but an opportunity every year for personal, spiritual and emotional redemption. So let us raise a cup of wine, or four, and take this opportunity to initiate the process of making life changes.